A rare baleen whale found in the Gulf of Mexico has gained protection under the Endangered Species Act. The Gulf of Mexico Bryde’s whale is a subspecies of the Bryde’s whale and one of the most endangered whales in the world, according to the National Oceanic and Atmospheric Administration. NOAA announced the decision to list the whale as endangered Friday (April 12.) The rule will go into effect May 15. Genetic testing revealed that the Gulf of Mexico Bryde’s whales represent a unique evolutionary lineage distinct from two other populations of Bryde’s whales and should be considered a subspecies, said Laura Engleby, a marine mammal biologist with NOAA Fisheries. “This listing provides important tools to saving these whales,” she said. Despite their genetic differences, the whales look very similar to other Bryde’s whale subspecies. But researchers have documented unique low-frequency calls from the Gulf of Mexico whales, including a long low moan. The whales are typically seen alone or in pairs. Recent sightings of the whales have been limited to the northeastern Gulf, but historic whaling records indicate that the whales’ range included waters in the north-central and southern Gulf, Engleby said. Still, not much is known about the subspecies. Research is underway to better understand the whales, including their physical, oceanographic and biological features. The project is funded by administrative and civil penalties for Clean Water Act violations stemming from the Deepwater Horizon oil spill. The 2010 BP oil disaster alone killed an estimated 22 percent of the species, and now just an estimated 33 individuals remain. Oil and gas exploration and development, oil spills, oil spill response, and the disruptive noise associated with seismic blastingwere all included in a list of 29 threats to the species, previously identified by NMFS. “With so few remaining, the loss of even one Gulf of Mexico whale puts the entire population in jeopardy,” Michael Jasny, director of the Marine Mammal Protection Project, has said. 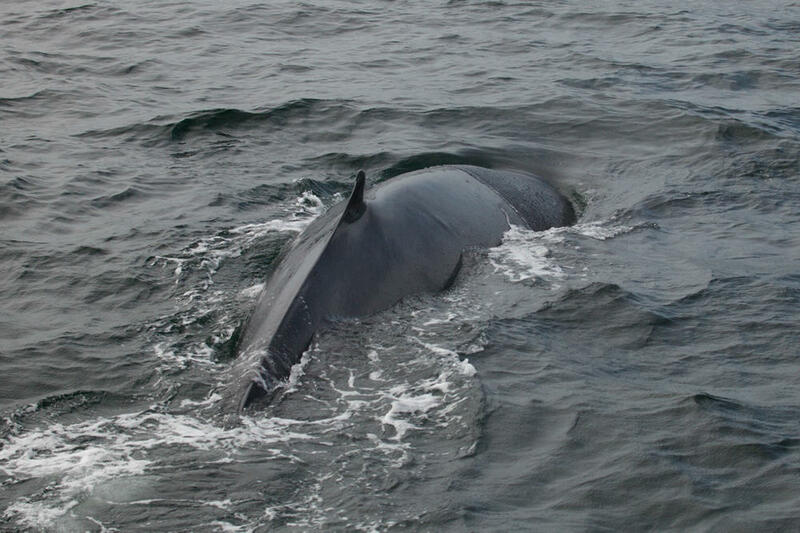 See also NOAA SPECIES DIRECTORY Gulf of Mexico Bryde's Whale . . .